The final review for the 2013 Schoolhouse Review Crew is a book titled Nothing That Eats from the series At Home In Dogwood Mudhole. This book appealed to me because we have often thought about having a hobby farm, but it just never seemed to be the right time. 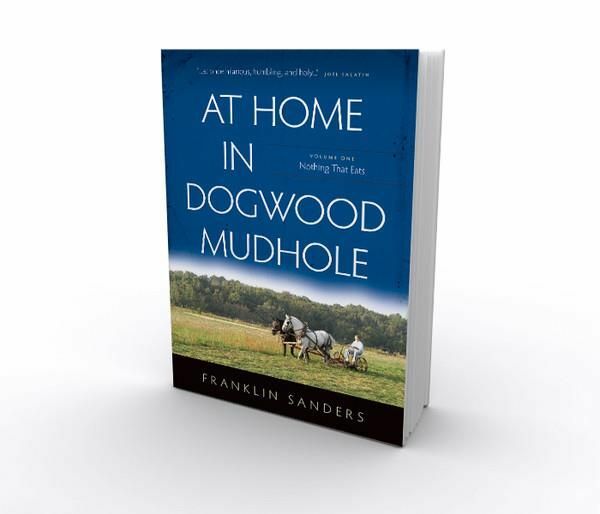 At Home In Dogwood Mudhole is a series of 3 books, from author Franklin Sanders, it is about his family going from city life to farm life when they move to Dogwood Mudhole, TN. The books are actually stories that first appeared in Sander's Moneychanger newsletter starting in June 1995 and continuing for 17 years. This book is titled Nothing That Eats because Franklin's wife Susan made it very clear that she would move to the middle of nowhere, but she wanted nothing that eats. She was talking about animals, but the Sanders and their 7 children start out with dogs and move on from there. The farm continues to grow when the kids get married and move their own families back home. This 379 page book is chocked full of everyday happenings. We get a glimpse of dog training and how they decide how much money to spend on vet bills for their dog to pigs jumping rope, and what happens when you have 7 kids, you might just leave one behind at the gas station. The Sanders are a big part of Civil War Reenactments and have a deep passion for history. Franklin truly enjoys spending time with his family. He says, "Time robs us too quickly of those tender years when wife and children need our presence and love." I read this book outloud to my family including my husband. We started out reading it straight through, but we decided we enjoyed it better if we read one chapter a day. Since it was originally written for a newsletter the chapters don't really flow as a whole book, but they are wonderful when read one at a time. 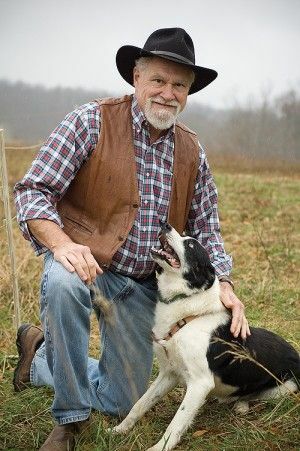 We don't live in a big city, and we visit our friends ranch from time to time, but it was great to see some of the happenings on a self sufficient homestead that you would normally not see or hear about. We received the paperback edition of Nothing That Eats and it is available for $22.95 or the Kindle/ePub/PDF is available for $16.95. Volume Two: Best Thing We Ever Did is also available for the same price. The chapter Pig Persuader from Nothing That Eats and the chapter Home Alone Milking from Best Thing We Ever Did can be read free. Sail over to the Crew Blog to read what the rest of the Crew thought about At Home In Dogwood Mudhole.